Today, there are at least ten nations in the world with the ability to produce biological weapons. Cheap and now technologically possible to produce and refine into weapons of mass destruction, biological warfare has the potential to do as much damage to civilian populations as nuclear weapons. 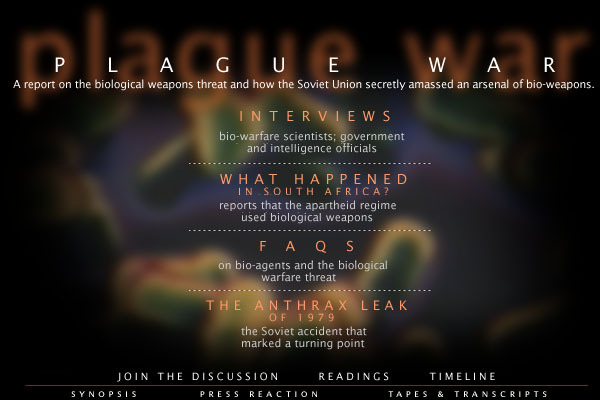 FRONTLINE presents new evidence culled from scientists, intelligence agencies, and policymakers to examine the threat biological warfare poses to world security and the responses the U.S. is frantically developing.